The older I get the more I love my morning coffee. And I should really find another name for coffee because I like mine with equal parts coffee and creamer. And what I really mean is I use equal parts International Delight Sweet Cream coffee creamer. So I’m basically drinking ice cream flavored coffee in the mornings. Which really is no surprise because my favorite ice cream is coffee flavored. [Is any of this making sense? I haven’t had my morning ice cream yet.] 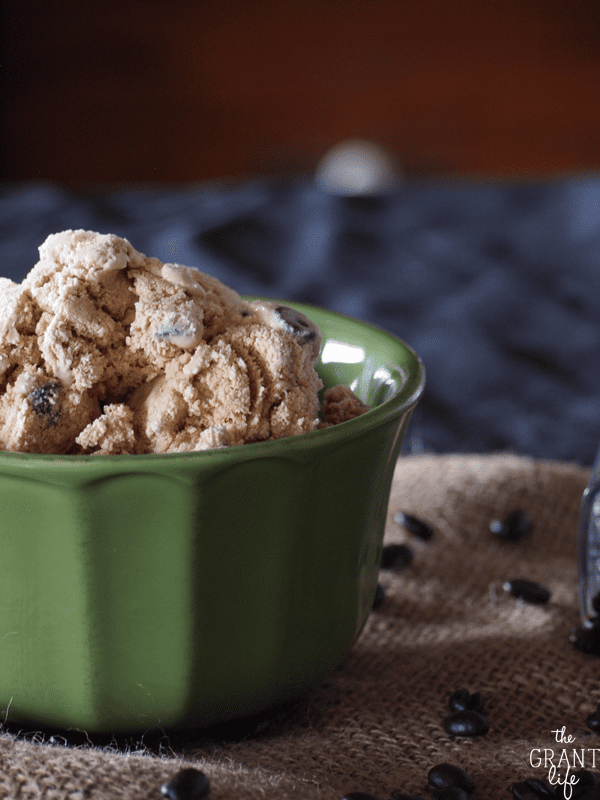 Basically, this java chocolate chip ice cream is my evening version of my morning coffee. And its delicious. I should also tell you that this post almost didn’t happen. Because I almost ate all the ice cream. What happened was, after I made the ice cream and put it in the freezer it kept asking to be eaten. Its true! I’d open the freezer to take our meat for dinner and it was all ‘Hey friend, want some coffee ice cream?’ So I’d grab a spoon and take a nibble. Or two. And it really doesn’t help that the silverware drawer is right next to the fridge so I can easily grab a spoon. [Maybe I should move my silverware?] I’d grab a spoon and take a taste. You know, to make sure it was set properly and the freezer wasn’t somehow defrosting it. Crazy things like that happen. Oh I can’t even lie. This ice cream is amazing. And sometimes I would go to freezer just for the ice cream and hid from my kids for a minute. [Say whaaa?! Who does that?!] Me. I do that. Especially when its ice cream, and double especially when its ice cream with coffee in it. I’ll keep that sweet treat to myself til they are older. Heat half n half and heavy whipping cream over medium heat. When warm and starting to bubble slightly, add in sugar, vanilla and espresso. Whisk until the sugar and espresso are dissolved. Add to your ice cream maker the next day. The last 5 minutes, add in the chocolate chips. If you don't have an ice cream maker then add it to the freezer after its cooled and skipped the last 3 steps. 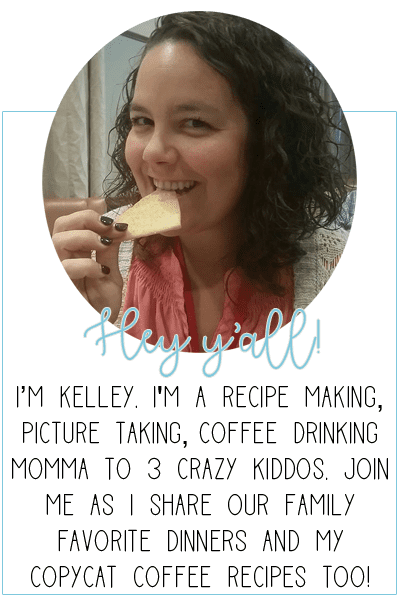 Want more coffee induced recipes? 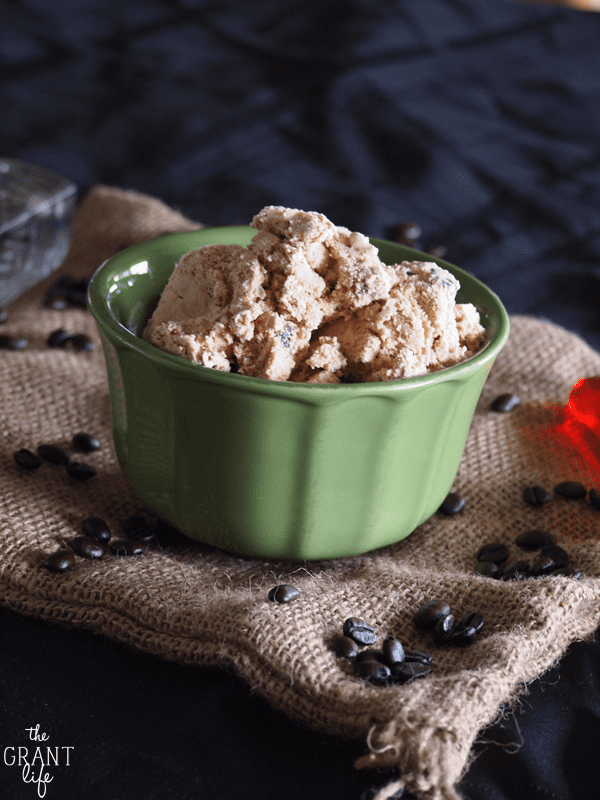 Iced Chai Latte – Starbucks Copycat! Hi kelley, my favorite ice ceam is coconut, I just love the flavor of coconut. Thank you for the recipes and the giveaway. My pleasure Linda! I’m so glad to have you! I love Blue Bell’s Cookie’s N Cream ice cream. I love coffee too!! This ice cream sounds amazing!! I like a really rich French vanilla. I like mint chocolate chunk ice cream. I love Cookies n’ Cream ice cream – thank you. 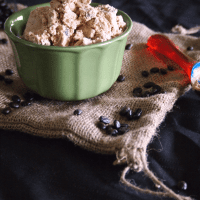 I love that the prize in the RaffleCopter is coffee “kids” 😉 I enjoy a lot of different flavors of ice cream, that Java chocolate chip is looking delicious right now though! I like vanilla ice cream with peanut butter swirls. I love simple chocolate chip ice cream! I love Blue Bunny’s Banana Split ice cream. I love Strawberry best. Especially with chocolate sauce on top. My favorite ice cream is vanilla bean. It goes with everything, especially root bear floats and apple pie. It’s so natural and delicious. Graeters Raspberry Chip with the great big giant logs of chocolate. Phish food (Ben & Jerry’s) or homemade peach. Buttered almond is my favorite. Gold Medal Ribbon from Baskin Robbins is my favorite ice cream. Hey I’m just a simple plain Jane Chocolate fan lol! French Vanilla bean is my favorite. I am a huge cookies & cream lover! 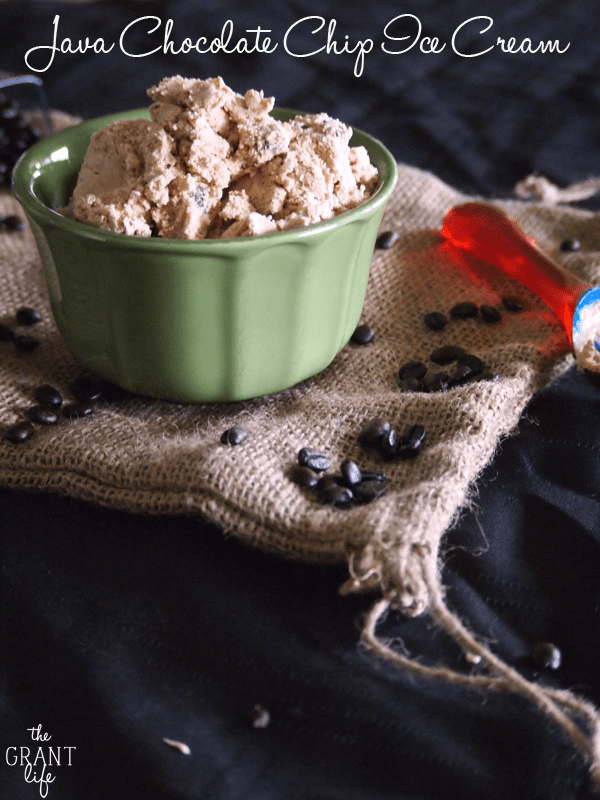 Homemade chocolate ice cream and vanilla bean espresso. I like Blue Bunny frone yogurt- Vanilla! Any kind of chocolate ice cream! Cookies and cream is my favorite. Visiting from Marvelous Mondays. That ice cream sounds very yummy, I love coffee flavoured things and coffee itself. I co-host Sweet and Savoury Sunday and would for you to stop by and share these and other recipes with us. Have a great day! Thanks so much! Ill be sure to stop by! Thanks so much! Ill try and stop by! Oh.. homemade ice cream is the best! And so simple too! Thanks for the invite.. Ill try and stop over! This was my first try at ice cream (Java Chocolate Chip), and I was disappointed with this recipe. Without any eggs, this ice cream was more like ice milk. The texture was not smooth, and one cup of chocolate chips is way too much (and I love chocolate chips). I’m going to try a different recipe that uses egg yolks for a creamier texture. Oh no! I’m sorry to hear that Amy. Did you use an ice cream maker or just freeze it? I agree it isn’t as smooth as regular ice cream. I do have a mint chocolate chip recipe that uses real eggs though – http://thegrantlife.com/homemade-mint-chocolate-chip-ice-cream/ . If you try it – let me know how it goes! I appreciate your feedback!